These tours aim to reveal a bit of real life behind what other guides might call the mystery of Chinatown. Many are led by local residents, touching on under-the-radar places that reveal both savory and unsavory aspects of the neighborhood. Older youth teach the young ones through these tours, and this cultural transmission is a beautiful thing. 10best, Sueddeutsche Zeitung (German Newspaper), Project for Public Spaces, KQED: Pacific Time: “Chinatown Alleyway Tours by Cynthia Gouw”, SF Bay Guardian: Best of the Bay 2003 & 2008, The Associated Press: “Chinatown visitors get an insider’s take on storied neighborhood”, SF Gate: “S.F. Chinatown Alleyway Tours marks 10 Years”, Yahoo! 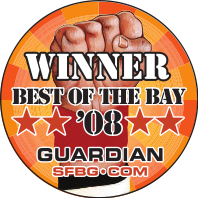 News, Boston Herald, Quad-City Times, Chicago Sun-Times, Mercury News, CNN, SF Weekly: “Return to Chinatown” (2002), SF Weekly: “Best Tour of Chinatown” (2002), Bay Area Backroads, Oakland Tribune: “Success blooms in Adopt-an-Alleyway”, San Francisco Independent, LA Times, Voice of America: Cultural Odyssey, The Associated Press: “Walking Chinatown’s Alleys”.